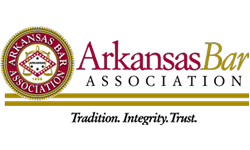 Little Rock Bus Accident Lawyers - McMath Woods P.A. Buses are a common mode of transportation that people take as an alternative to driving a car. They don’t have to worry about driving or parking and all they need to do is adhere to the bus schedule. But those people expect the drivers to be alert, follow the rules of the road, and they expect the bus to be running smoothly. When this doesn’t happen, bus accidents can cause a lot of bus passengers to get injuries. A Little Rock bus accident lawyer can help those injured with their bus accident claims. Bus accidents are tragic experiences, but you can seek legal options to help you move forward. McMath Woods P.A. is dedicated to the citizens of Arkansas and will fight for your rights to fair compensation. 3,838 fatal crashes in 2015 involved buses or large trucks nationwide. These crashes resulted in 4,337 fatalities. 97,000 injuries resulted in 2015 in bus/trucking accidents. 138,000 people were injured in these accidents. Many people depend on public transportation every day to go to work and get home. They shouldn’t have to worry about crash injuries, but the report shows that these accidents do happen. A reliable bus accident attorney will help alleviate the stress of filing a bus accident claim. What Causes Bus Accidents in Arkansas? Bus drivers have a lot of responsibilities while they’re operating the vehicle. They need to stay on time, make sure people on the bus are behaving, and to drive a large vehicle safely. When they shift their focus from safety or acts negligently, people can get hurt. While the bus driver can prevent accidents by being attentive, not every bus accident is the driver’s fault. There are some other factors that they can’t control that can cause accidents. Distracted Driver. No matter what motor vehicle the driver is controlling, any distraction can lead to an accident. This could be from a negligent driver who keeps checking their phone, but other conditions like a full, crowded, loud bus could be a distraction as well. Poor Road Conditions. Big pot holes or roads that haven’t been properly salted and plowed could make a large bus spin out of control. Weight Distribution. Buses have a set carrying capacity and going over that prevents the driver from having control of the vehicle. Overcrowded Area. Some urban areas may have small roads filled with parked cars, making it difficult for a driver to maneuver a large bus without hitting anything. Mechanical Failure. Bus companies are supposed to check their vehicles to make sure they’re safe to drive. Without a professional to inspect the bus, the bus could have issues with the brakes, steering systems, and engine. All these reasons for bus accidents are preventable. Whether it’s the driver driving while distracted, the bus company not checking their vehicles, or the government failing to take care of the roads, these are all situations where someone neglected to put safety first. Your bus accident lawyer will investigate your case to find the cause of the accident and will proceed to hold the person responsible for their actions. Buses don’t have the safety features of a car like seatbelts or airbags. Since buses are larger, there’s an increased risk for rollovers, which can cause devastating injuries. The medical costs of recovering from a bus accident may be more than most can afford. Your bus accident lawyer will help you get compensation that will cover your past medical costs and future medical costs. Head Injuries. People can suffer from concussions if they hit their head in a crash. It can cause headaches, issues with balance, confusion, and can even cause mild depression. Whiplash. The sudden change in neck movement from a crash can cause whiplash. Symptoms of whiplash include dizziness, headaches, a stiff neck, and issues with sleeping. Broken Bones. Someone could break an arm or a leg in a bus crash. Public transportation accidents can also end in fatalities. If you’ve lost a loved one in a bus accident, you can get justice for them. The lawyers at McMath Woods P.A. will help you with your wrongful death claim. After an accident on public transportation, it’s imperative for you to protect your rights. Filing a claim on your own is difficult and the insurance company may encourage you to settle the matter as quickly as possible. But if you settle the case too quickly, you may not know the extent of your injuries or could settle for less than you deserve. This could mean you wouldn’t have enough to cover your medical expenses. Get in touch with a Little Rock bus accident lawyer from McMath Woods P.A. today for a free consultation. You can go over your case with a skilled lawyer and find the best course of action for you.